The House will meet in Joint Session on Thursday, February 14, 2019, at 10:00 am to hear Governor Sununu’s budget address. Following the budget address, the House will meet in regular session. 77 proposed bills appear on the Consent Calendar; 36 proposed bills appear on the regular calendar. Bills on the Consent Calendar generally have a unanimous recommendation as Ought to Pass or found to be Inexpedient to Legislate, though a small number of those bills may have one or two dissenters. Any House member may request that a bill be pulled from the Consent Calendar and debated during the Session. Committee recommendations for bills that are not pulled from the Calendar will be approved en masse with a single vote. HB176-FN-A, relative to grants for school building aid and making an appropriation therefor. This bill amends the current maximum expenditures for school building aid grants from a maximum of $50 m million per year to a minimum expenditure of no less than $50 million per year. Committee recommendation: Ought to Pass. HB222, relative to criteria for teachers in charter schools. Present law requires 50% of chartered public school teachers be certified or have at least three years teaching experience. This bill increases this to 75%. Committee recommendation: Inexpedient to Legislate. HB 497-FN-A-LOCAL, relative to payment by the state of a portion of retirement system contributions of political subdivision employers. 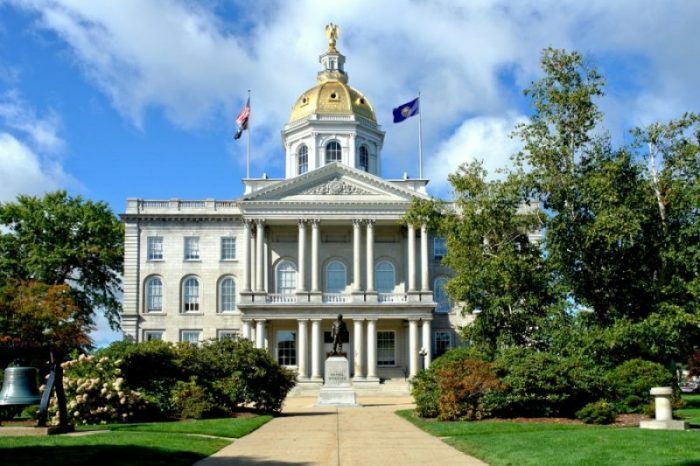 This bill upholds the promise made by the state to pay a portion of the employer’s contribution to the NH Retirement System (NHRS). The state’s payment to NHRS was reduced from 35% in 2008 to 0% as of 2012. This bill would require the state to pay 15% of the cost to the NHRS, thus reducing the cost for local communities. Committee recommendation: Ought to Pass. HB 185-FN-A-LOCAL, relative to contingently reducing the rate of the interest and dividends tax and repealing the tax in 5 years. The Committee report stated that it could not determine the total cost of the bill as applicability dates in the bill were not specified. Committee recommendation: Inexpedient to Legislate.